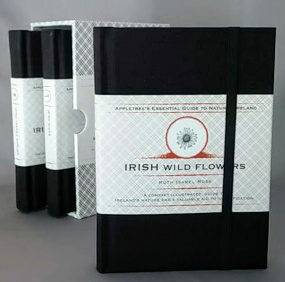 People of all ages are taking a thriving interest in Irish nature and this boxed set of beautifully bound guides will appeal to them. It will become a classic reference set for people at all stages who wish to discover more about Ireland's birds, wild flowers, trees and shrubs. Each book describes, in detail, the most common species found in the Irish countryside. Illustrated in colour throughout, these beautiful books are attractive and indispensable guides to natural Ireland. The pocket sized volumes are robustly bound as cloth hardbacks, each with an elastic closure, making them ideal for use in the field. Appletree Press is proud to announce the publication of Keep Her Flying - Ireland's Rally Heroes, written by Richard Young. Rallying is the most popular Motorsport in Ireland. It is easy to see why it appeals to Petrolheads. Whats not to like? It is an infectious blend of modified rally cars, mud, speed, mud, fearless drivers, mud, spotlights and did we mention the mud? Special Stage Rallies take place on the open road, together with other special closed stages which, as the name might suggest are roads which are not open to the public. Drivers generally win or lose races based on their speeds over the closed stages. This celebration of rallying looks at the history of the sport in Ireland, and tells the stories of the big names including Eugene Donnelly, Gareth McHale, Kris Meeke, Colm Murphy and Kevin Lynch and many more. Photographs throughout. Keep Her Flying - Ireland's Rally Heroes is published by Appletree Press and is on sale at all good bookshops price STG £19.99 / € 25. 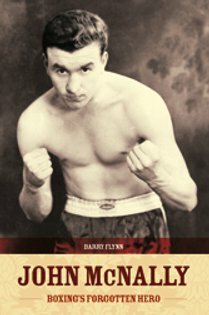 Recently published by Appletree Press, John McNally - Boxing's Forgotten Hero is written by Barry Flynn. Ireland has always been famous for her glovemen  men who pitted logic, strength and stamina against men of other nations on the worlds canvas stage. Some even became Olympic medal winners. John McNally was just one of these fighters but unlike the many who followed in his footsteps to find fame and fortune his name is now largely forgotten except to the real boxing aficionado. John McNally won silver in the Olympic Games held in Helsinki in 1952  a remarkable achievement for any man  but he was also the first Irishman to win an Olympic medal for boxing. Many believe that the medal he should have been awarded was gold and the phrase we was robbed could have been coined with John in mind. This is the story of a boxer who fought against overwhelming odds to escape the mean streets of Belfast to reach the heights of his sport. "John McNally made Irish sporting history by becoming the first Irish boxer to win an Olympic medal of any colour. He was a hero. It is right to cherish sporting heroes, and this book does just that." John McNally - Boxing's Forgotten Hero is published by Appletree Press and is on sale at all good bookshops price STG £14.99 and € 18.95. Coming soon, eBooks from Appletree; buy an Amazon Kindle Fire HD (USA link), or get an Amazon Kindle Fire HD here (for European customers). Our address is, 164 Malone Road, Belfast BT9 5LL.